At MW Creative Solutions we believe that great websites have the clients who to tell their story, not only in words and images, but also through creativity and form. A website is more than just a business card, it is also the starting point to something big: the first point of contact with a potential brand follower and consumer. That is why we include Web Design as an important part of our strategy. Our clients need the best possible Mobile Responsive Design out there, along with the newest WordPress software and plugins, full Social Media integration and easy Content Management System (CMS). Now more than ever smartphones, tablets and other mobile devices have become indispensable in the daily lives of potential brand consumers. Only in the past year the smartphone penetration rate has risen to 44% worldwide, with 66% of smartphone owners never leaving their home without a device, constantly using the Internet, mobile search, apps and social networking sites. Businesses need to act now and change their mobile strategy to engage, connect and extend cross-media campaigns for a better outreach. Mobiles have also affected and changed the way users shop online. With statistics showing that 35% of smartphone users make online purchases on their phone, it is enough to say that a mobile optimised website is vital. So, what is a mobile responsive design? A mobile responsive web design refers to a website layout which adapts and responds to the size of the screen. A responsive website will automatically adjust to the mobile device without modifying the quality of images, the quantity and quality of information; all in all making the experience just as pleasant as using a laptop, desktop or tablet. 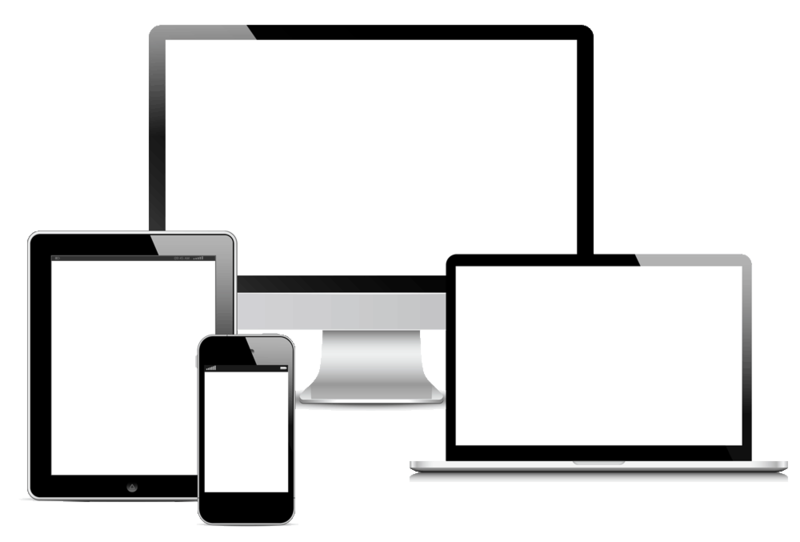 We provide the best responsive design available, so your visitors can find all the information in any format using different devices such as PCs, Laptops and Ultrabooks, Tablets, Smartphones and many more. By incorporating the newest WordPress software, we make sure your website and company blog stay up-to-date and fully functional. Now your consumers can see you anytime and anywhere. We know how important plugins and Social Media integration are to connect with your consumers. All of that combined with easy-to-find information and navigation, compliment the best user experience and customer satisfaction. Our web development incorporate a powerful content management system (CMS) which lets you work on high quality content creation, editing and proofreading. With our easy to manage content administration and evergreen information you will always catch the eye of any visitor. For a bespoke quote for your individual needs contact us today!